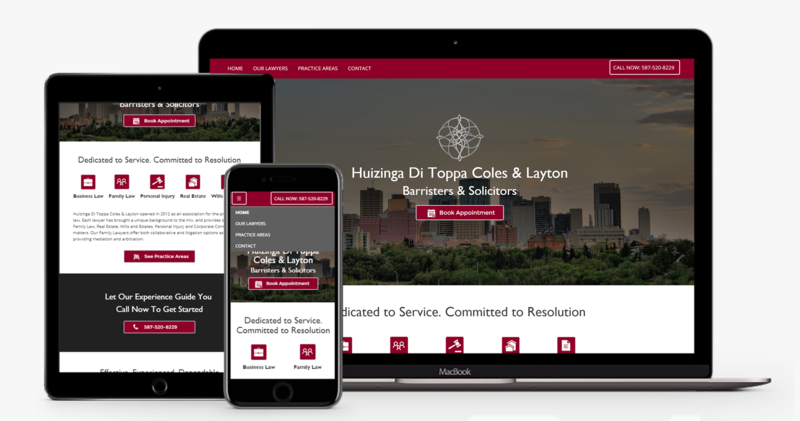 Huizinga Di Toppa Coles & Layton is a law office based out of Edmonton, Alberta that provides services for Family Law, Real Estate, Wills and Estates, Personal Injury and Corporate Commercial matters. A well established law office, I was tasked with setting up their first website to help improve their online search engine rankings and to make it easier for existing and potential new clients to get information on the law firm and the services they offer. As such this website was designed to be a high quality, mobile friendly user experience with an increased focus on keyword density, sitemaps, and indexing. 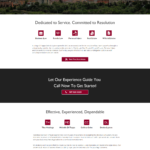 From a design aesthetic, I wanted to provide a clean, professional yet personable website design. 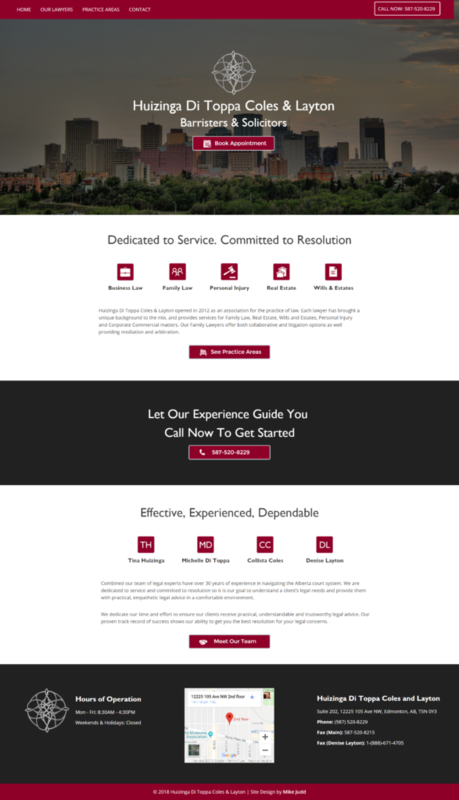 Using the clients existing branding and colour guidelines I built a theme that speaks to potential clients about the firms, professionalism, integrity and experience.